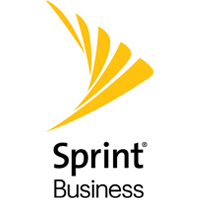 Sprint Business is making networks smarter, more agile and more manageable. By bringing 5G and IoT together, we put the power and performance of a modern converged network in the hands of customers. Our software-defined intelligence layer makes business networks ultra-responsive and more available. Our 5G spectrum advantage delivers more capacity at faster speeds than ever before. Our IoT roadmap is accelerating the deployment of billions of IoT devices and applications. Sprint is innovating within the largest, connected technology ecosystem in the world…the Softbank Vision Fund. Our carrier-agnostic, as-a-service model ensures that customers can access the new always-on, bandwidth-hungry, converged business world. Sprint Business works for business to help you win. Jan Geldmacher is President, Sprint Business. He joined the company in August 2016 and reports to CEO Michel Combes. Jan runs Sprint Business and is responsible for B2B strategy and execution to serve small, medium businesses, enterprises, and wholesale customers across the globe. Through the sales and product teams, Sprint Business offers include wireless, wireline and IoT solutions nationally and abroad. Ivo Rook is senior vice president of Internet of Things (IoT) and Product Development for Sprint. 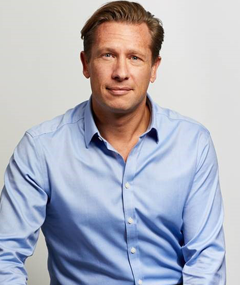 In his role, Ivo is responsible for leading a world-class team to deliver technologies that change the way people live, the way businesses operate and the way society evolves. Ivo also serves as liaison officer to the Softbank Group of companies involved in the IoT space. 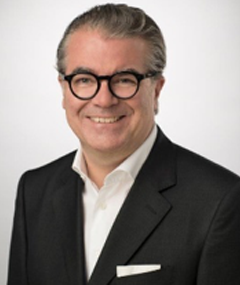 Before joining Sprint, Ivo was chief executive officer for Vodafone’s IoT business and also worked as an executive vice president for BT and Deutsche Telekom, leading their enterprise sales and large deal organizations. Ivo earned a master’s in Information Management from Erasmus University in Rotterdam, The Netherlands, and has leveraged his scientific background into a career in strategy and deal-making as a corporate entrepreneur. He is a pragmatic executer and truly global player, having worked many years abroad, and speaks four languages. Ivo is married and a proud father of five children. Jim is Regional President of the East Region at Sprint. He is responsible for the East Enterprise Business Group focused on the Global 2000 segment. Sprint Business is a $13 billion group within Sprint. Jim Carroll has 27 years’ experience in the overall telecommunications sector and has extensive expertise in Mobility, IoT and Solutions. 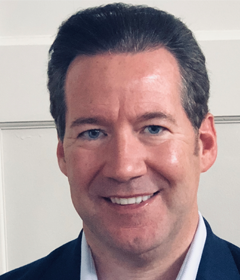 Prior to joining Sprint Jim was the Executive Vice President of Enterprise Business Solutions for Tangoe, the leading global IT expense management company. Prior to that, Jim spent 23 years at AT&T in various senior leadership roles. His most recent as a Vice President in the Signature Client Group, working closely with AT&T’s largest Enterprise clients globally. Mr. Carroll was inducted into AT&T’s prestigious Diamond Club (Top 1%) for his consistent and strong performance in delivering best-in-class results. Mr. Carroll during his tenure was also awarded 17 Presidents Club in various roles for top performance across the company. Jim joined Sprint 2 years ago to help lead the transformation of Sprint Business. In his first year at Sprint he led the Northeast Region to best in class performance of the 4 total Regions. In his second year Mr. Carroll was promoted to lead the East Region and steer the transformation of the South, along with his current responsibilities in the Northeast. Jim Carroll has deep experience leading Enterprise sales teams to best in class performance. He is widely considered a transformational leader, complex deal negotiator and adept at building executive relationships in the C-Suite.